As I've discussed in previous posts, I have a little issue I like to call summer brain. This year has been particularly difficult in that I ended up scrapping two projects because my brain didn't want to attempt to make sense of them while the rest of me was melting under the Texas sun. I even made a post here, talking about my last attempt to write something that would steer me back in the direction of serious author and well, about two dys after I wrote that blog, I had a flash of inspiration. Two months later, I have a book. And like the last six items I've written, it may be of the sci-fi/fantasy variety, but it is firmly planted in the humor category as well. Specifically, satire. Naturally, as I started writing what I had hoped was a one off summer brain tale of a second banana to a supervillain, ideas began to pop into my head for a second and third book, with the possibility of many more to come. This... this would not do. I'm an author, not a humorist! I am humorist. And apparently, kind of a rarity in the field. While I want to be taken seriously, I realize that continuing to satirize the genres I so love doesn't just come easy to me, but is something I should be proud of. You see, there aren't many women in this field. Sure, there are female humorists. But you've probably heard of the ones who came from a standup or television career, or the anecdotal humorists like Erma Bombeck who wrote slice of life humor. And now, there are more and more quirky paranormal and mystery writers who add a touch of humor to their writing. But the big names in satirical fantasy and sci-fi circles are Kurt Vonnegut, Douglas Adams, Terry Pratchett, and Robert Asprin. Of course, those guys were the big names. You know me, so you know I'm a reader of Indie books. There are tons of wonderful bits of genre satire out there written by some great guys. But I have to point out the scarcity of women's names in these lists. This has to change. I can't possibly be the only woman writing genre satire. There must be others and if there are, I want to hear about them. This can't be allowed to be a boy's club the way sci-fi was for so long and dammit, I am way too small time to be a pioneer! So please, if you've heard of any fantastic and funny women who write satirical, dark, or quirky humorous literature in the sci-fi, fantasy, speculative, dystopian, or horror genres, please, comment with their name so that I may check them out. 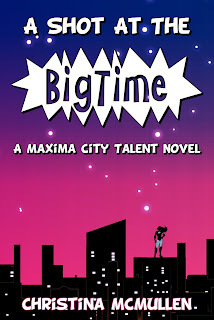 Now, I will admit, once I have A Shot at the Big Time released in October, I will be using the dreary winter months to put myself back in the mood for sci-fi thrillers and space adventures, but I am owning my role as a genre humorist. Expect me to bring the funny whenever I can. I heard that Pumpkin Spice Author was working on something satirical about comic books or something. Maybe give her a look? Ugh! She's the worst! She only shows up for a month and barely does anything. Worst if all, I heard she isn't even made with real pumpkin! This sounds like a fun book. What's the length of it? I just noticed that all the books in my current rotation are pretty long and I'd like something light to sneak in there. Curse my less than average reading speed! Personally, I can't think of any satirical lady fantasy and sci-fi authors, but I'm not versed in the genre either. Sounds like a good one to pioneer in. It's no exaggeration to say that Going Green was one of the funniest books I've ever read and that was Sci-Fi satire was it not? This is pretty short. About 47k words. I will be more than happy to send you an early copy as soon as I do another round of edits. Awesome! It'll be my next read then. Thanks! I've written some satirical fiction. I won't mention the name of the book, but one of my books is a humorous take on being taken prisoner in the catacombs of Paris--- horror, although I really didn't do the tropes of horror well, so I don't know if I count! I just can't write horror. I'm not afraid of anything anymore, ever since I taught middle school for four years. I love your humor. 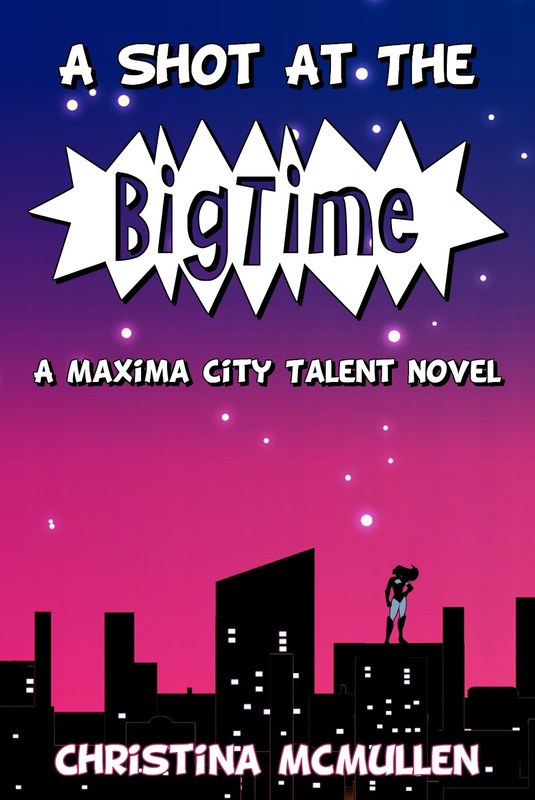 I pre-ordered a copy of "A Shot at the Big Time"! I can't wait to read it.